National Geographic USGS maps– a great resource where you can print a quad of your local area just by putting in your town or zip code and clicking on the quads you want to print. It bundles the PDF with adjacent quads so you can easily print areas. This is the traditional USGS map, but with added hillshading. USGS US Topo Quadrangles– download the maps used by the USGS and Department of the Interior here. The topographical style adds more detail with more lines and less colors than the NatGeo maps. These maps are continuously updated, which is a bonus. You can print the maps on any printer, but it helps if you use a color printer. It is optimized for standard 8.5” x 11” paper. If you don’t own a printer, or if you want the map to be free, you can use one at work, at school, or at a library. Print extras, and maybe some for your friends and family. Take a look at what you print out. What good does it do you if you can’t recognize any landmarks or even where you are on the map? Circle relevant landmarks and mark up the map as you see fit. Make it your own so it is easy to use when you need it. You can write extra information in the margins as you see fit. Ziploc- The cheapest option is also the most used. While it is not completely waterproof, it can usually keep it safe inside a pack or kit. Waterproof Bag- This option is better than the zip-lock bag, but it also costs a lot more. You won’t have the leak problems or the sweating problems the zip-lock has. Laminating- Laminating your map can make it handle all sorts of bad weather, spills, sweat, or any other thing a disaster may throw at it. You don’t even need to find a professional copy store or have a laminating machine, they make adhesive laminated sheets you can use. Adhesive laminate is not as good as thermal laminate, but it is better than bare printing paper. Waterproof Paper- Printing on waterproof paper is probably the best of the options although it can be pretty costly if you print a lot of sheets. You will have to doctor up your maps on the computer before you print, since it will be tough to get anything to stay on the paper besides a permanent marker. TerraSlate paper is used by the military and law enforcement, and is one of the better options. This step is not for right now, we just need you to earmark it. Come back to your maps periodically to review them for accuracy. Not only can roads and structures change- but even streams and lakes can change over time. If the changes are drastic enough, just repeat the steps above to get an updated map. We recommend writing a note to review your maps when you review the kits associated with them. 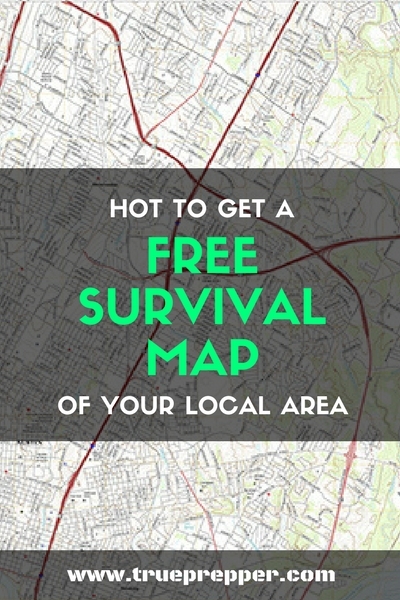 For instance, if you are checking expirations on you bug out bag checklist, be sure to include checking your maps. 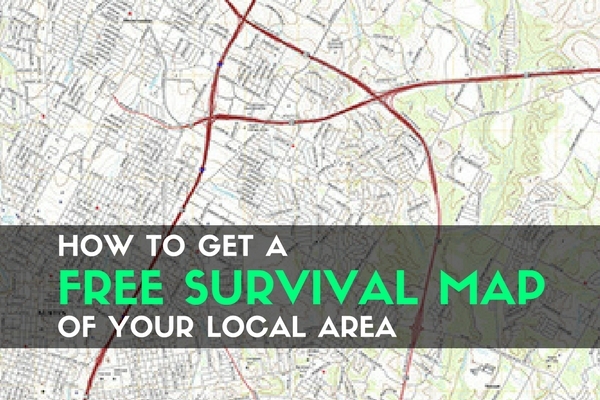 Printing a free survival map for your bug out bag, disaster kit, or get home bag is pretty straightforward and easy. Make sure it covers enough area to be useful and that you protect it from the elements and you will be set. Keep exploring, stay prepared, and be safe. Hey there! The USGS US Topo Quadrangles aren’t in a format to print in 8.5 x 11 … how do you suggest I print them, so I don’t mess up the precise scaling? Hi Michael! I was able to easily download the 7.5 minute quadrangle for areas around my home and print on 8.5 x 11. Type in your location so that it narrows your ‘product selection.’ The formatted maps will be found under that product area. Even if your printer shrinks the map, the attached scale on the map will still make them usable.